We completely agree. Very much looking ahead to 2015, and whatever projects this collaboration brings. Thanks for your vote! Wow..it is hard to choose. My vote is for Durell and Royal Marines. Henry is a great guy! Thanks for your vote, he really is a genuinely nice guy. We expect Henry's charity work to be a big part of our coverage next year, and we more than welcome it! I think it's between 2, 4 and 5 for me. I knew he would participate with the royal marines given his family connection to the organization and his constant admittal that he would've considered joining the military if his acting career fell through; and Durrell because it's in his home town. But him showing up at comic con with Ben and Gal (even without saying anything��) was awesome and him doing the ice bucket challenge because he was challenged by others so many times who know he'd actually do it? 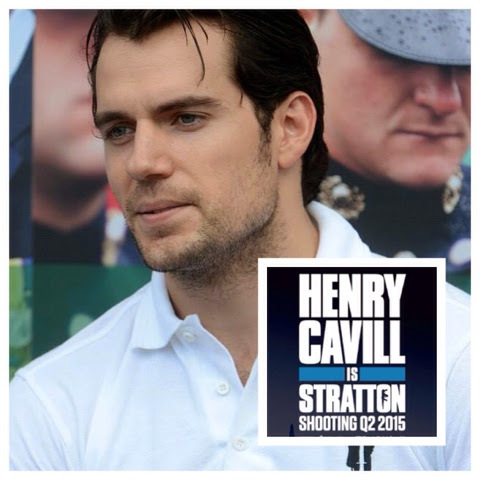 The Stratton thing was a surprise because we only know about BVS and MFU as his next confirmed roles. It seemed like Hollywood wasn't showering him with offers. Who knew he'd take matters to his own hands and develop a production company and develop his own opportunities? Good for you Henry! 3 because it was a surprise. I'm very happy that Henry will do something different from Superman. And that he will work with his brother. Then equally 3 and 4 because I like animals ( I'm very proud and more in love with Henry ) and because he was so cute and funny. I wish him hapiness, joy, heath and to spend time with his family and friends. Really hard to choose, but I vote for 3 and 4. 3 because it's such a sweet gesture and you don't see celebrities going on about diversity or animals on their charities and that's just sad. Good job with that, Henry! So, I guess this is it. Hope he enjoys his vacation! He certainly deserved it!